Leonard Mermel loves the outdoors as much as he digs science. 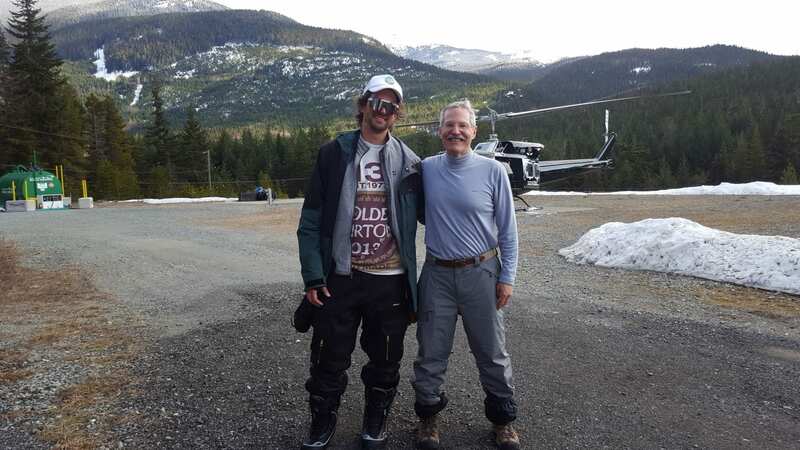 Here he is with his son Elliot after an “exciting heli-skiing adventure” at Whistler, British Columbia. Leonard Mermel, D.O.’84, Sc.M., A.M. (Hon. ), FACP, FIDSA, FSHEA, is one of those DMU graduates with multiple credentials, several titles and seemingly countless awards and achievements. In addition to his hospital and academic appointments, he is a member of several professional organizations and has served on numerous state, national and international committees on topics ranging from infection prevention and control to biodefense and protective equipment for health care workers. Mermel’s 68-page CV lists 11 book chapters he’s authored, 94 original publications he’s had in peer-reviewed journals and 130 abstracts. His prolific works put him on Clarivate Analytics’ 2018 “Highly Cited Researchers” list – scientists whose papers rank in the top 1 percent of citations in their field. All these and many more accomplishments raise one’s eyebrows when he says, “I didn’t really apply myself in school – my undergraduate grades weren’t that great.” But clearly the work ethic modeled by his father, Bennet Mermel, won out. When you ask Mermel what he considers highlights of his career, his voice matches the wonder and enthusiasm of Ira Flatow of public radio’s “Science Friday” fame. One was research he published in the 1990s on infection risks caused by a type of catheter widely used in hospitals at the time. He found patients – coincidentally, all women – who’d had bad reactions after the catheter was inserted. “The company that made the device told me, ‘They’re all just hysterical – keep using it,’” he recalls. He submitted a Freedom of Information Act to the Food and Drug Administration, discovered other catheterized patients who experienced problems and then published his results. The company tried to discredit his research. Mermel feels that way about research, too. Reducing the risk of infection among hospital patients has been a major focus.